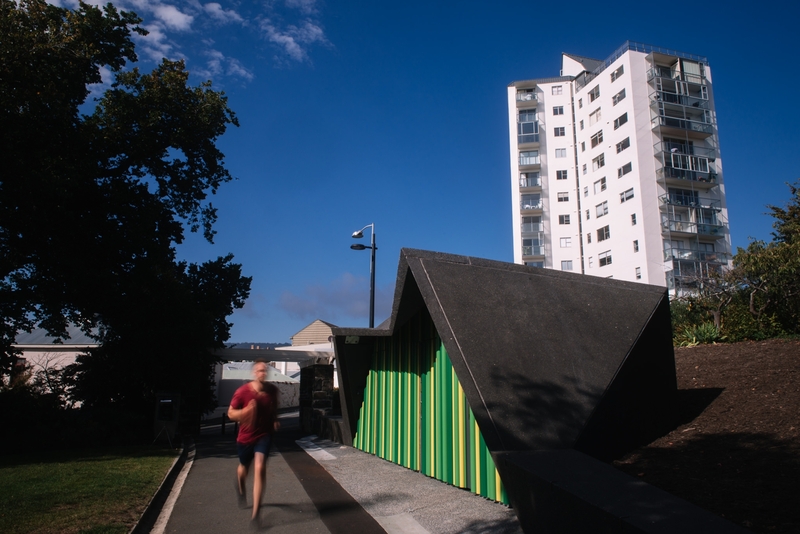 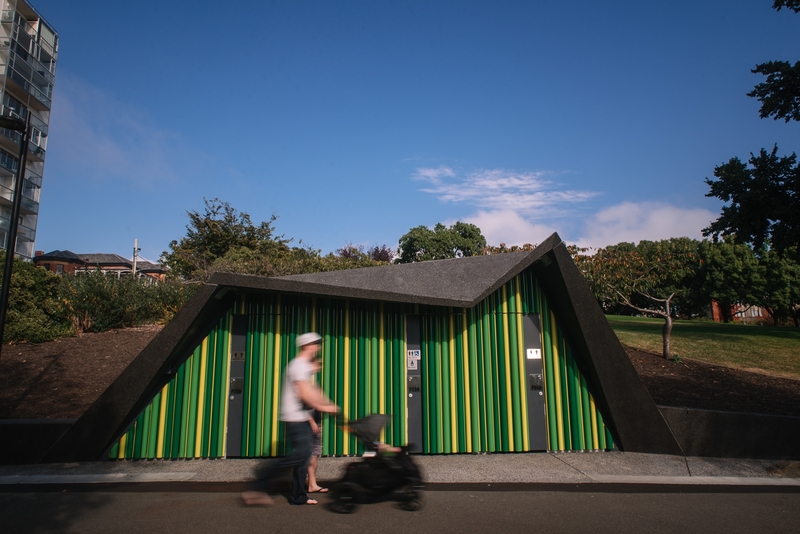 The Princes Park Amenities are the first in a rolling program of public amenity upgrades prompted by the Lord Mayor of Hobart. 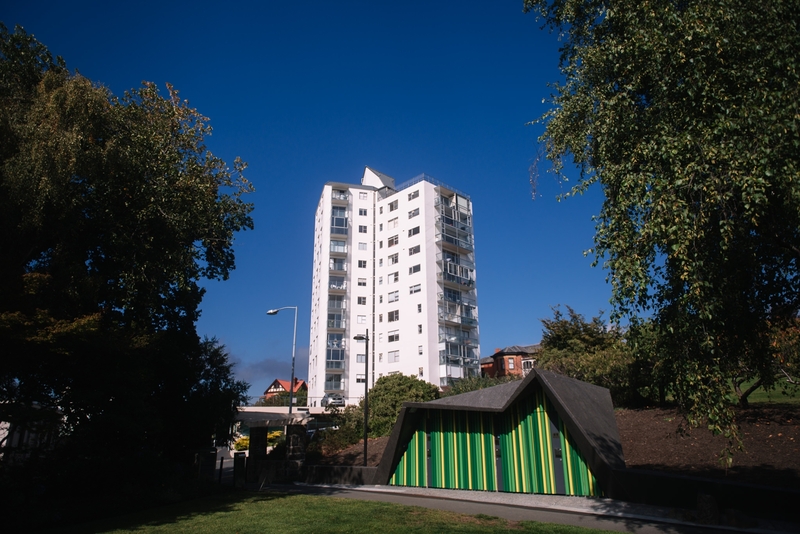 It is also one of only two buildings located in the historic Princes Park, adjacent to Battery Point and home to the Georgian Signal Station, one of Hobart's earliest buildings. 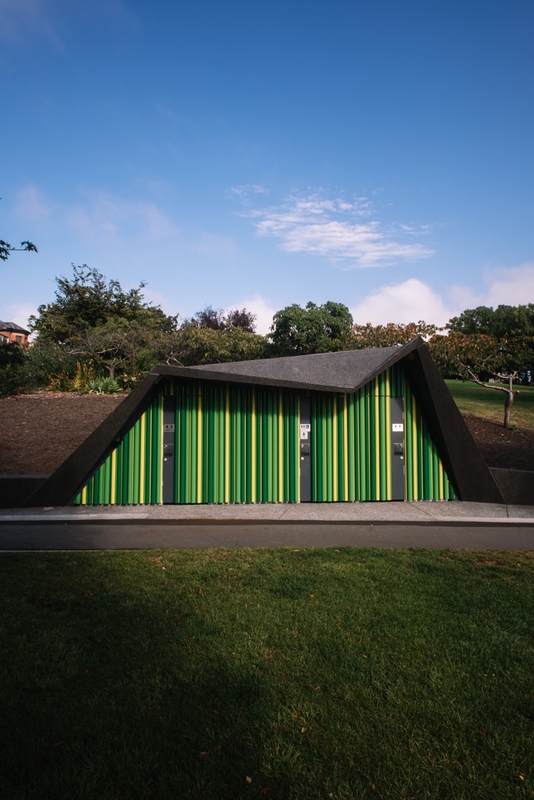 Our strategy in this context was to provide the amenities without providing a building, per se. 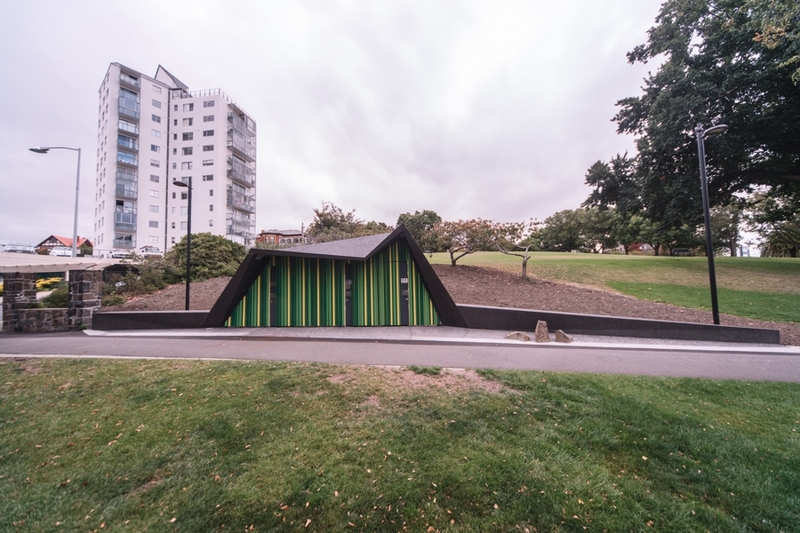 The amenities were conceived as an elaboration of the 1930s earthworks (the last major reconfiguration of the park), re-organising the topography to reveal a single elevation to the public thoroughfare. 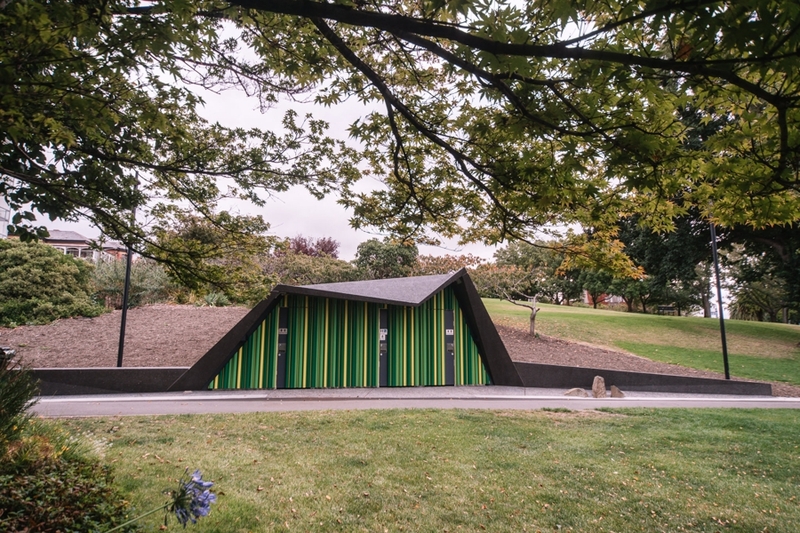 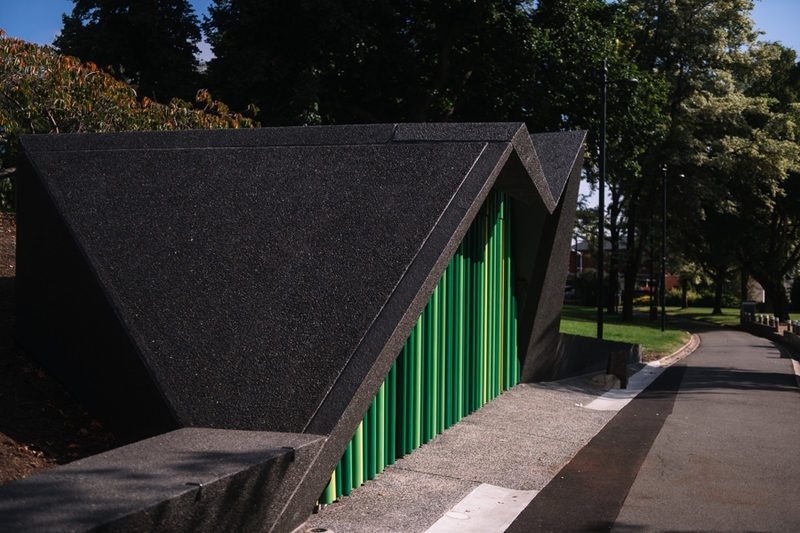 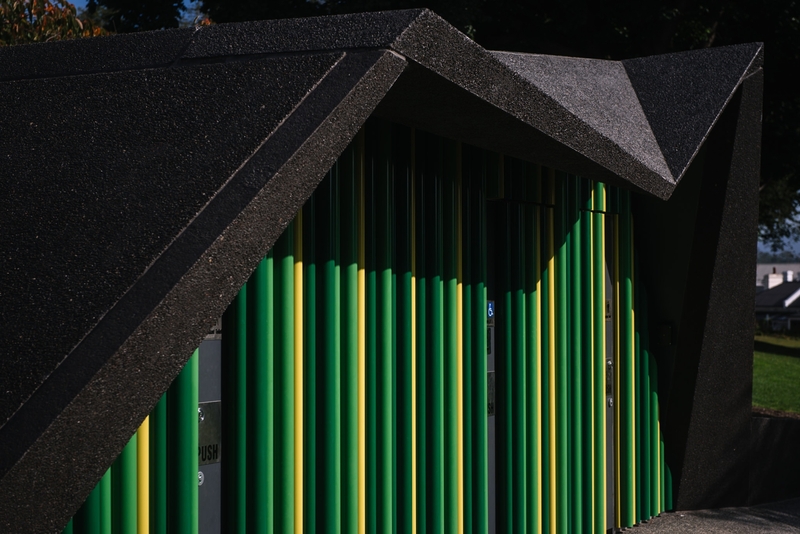 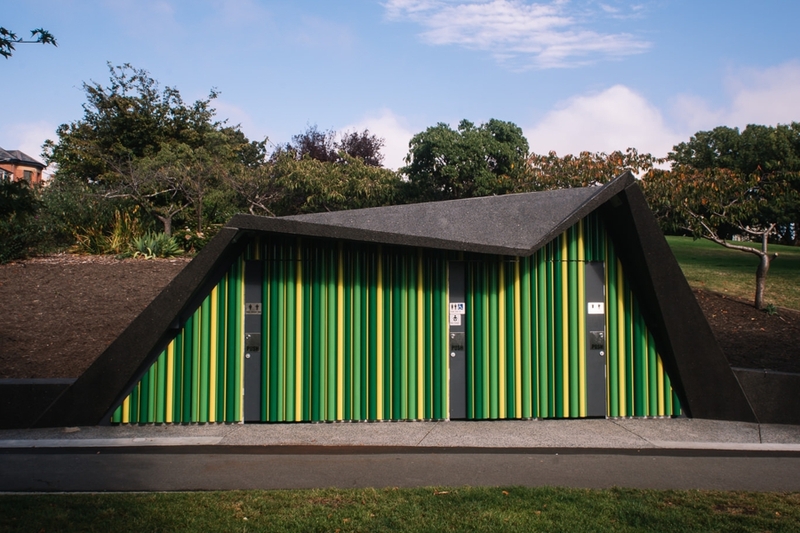 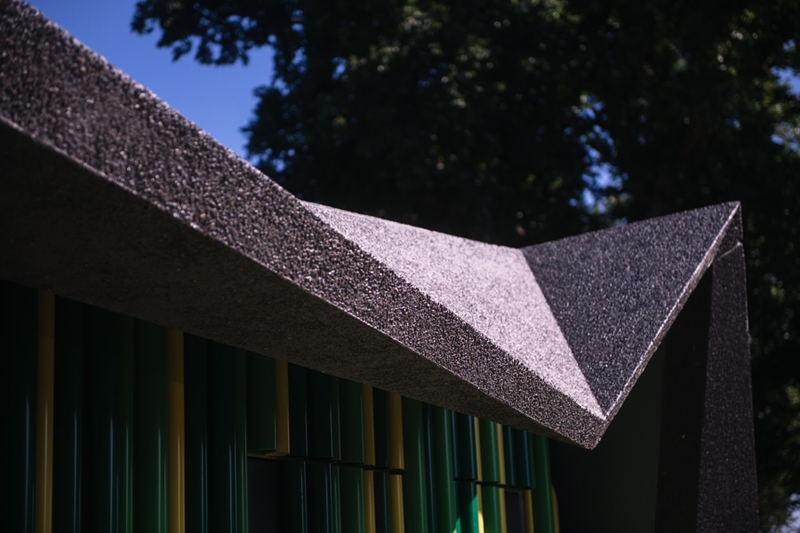 The dark precast panels tie into the dolerite walls which distinguish the park, while the green comb that fronts the toilet entry completes the abstraction with its elimination of visible doors and hardware.